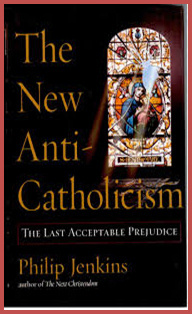 One of the most disturbing phenomenon of our progressive modern era, so proud of its technological innovations and its near absolute right to free speech, is the confusion and lack of clarity detectable when it comes to the intersection of free speech, historical accuracy and slander of religion overall, and Christianity and Catholicism in particular. The issue has come to a head in the recent reprehensible Paris’ events by Islamo-fascists. We must acknowledge, however, that there are also Christiano-fascists, such as Anders Behring Breivik who in 2011 massacred 77 people in the name of a right wing militant Islamo-phobic ideology advocating the deportation of all Moslems from Europe and parading as Christianity and a Christian Europe. I have no doubt, in fact, that one could easily identify Buddhist-fascists, Hindu-fascists, Judeo-fascists. Most bona fide religions have those kinds of fanatics who use them to justify their nefarious actions. All one needs to do is search on the far right lunatic fringe of the political spectrum. In reality those who espouse those extreme political ideologies are either deranged sociopaths, with no conscience or awareness of a moral law, or psychologically warped paranoid-schizophrenic individuals (the case of Breivik). What is even more disturbing than those obvious aberrations, universally condemned by the civilized world, is that as a reaction, quite often a whole religion or faith gets painted with a wide brush. The strategy seems to be this: compare the modern secular political arrangement (making a strict separation between religion and the state) with the theocratic medieval world imbued with religion to its very core. 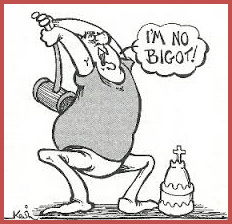 Religion is thus made the scapegoat for everything that is regressive, reprehensible, ugly and undesirable. Do away with religion and voilà all social and human problems disappear, never mind 20th century secular ideologies like Communism and Nazism which cold-bloodily exterminated millions of people via genocide used as a political tool. 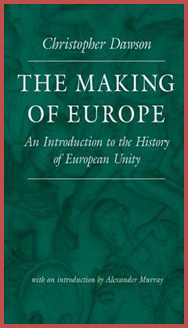 When I am confronted by such biased mind-set, I usually recommend the reading of Christopher Dawson’s popular book The Making of Europe. The more open-minded interlocutors will take the advise and will usually modify their position after such a reading. But of course there are the true believers who will continue the demonization of religion no matter what evidence is presented. They are the other side of the Breivik mind-set. They harbor assumptions and biases which they have held all their lives, they have become intellectual dogmas for them, almost part of their personality and they are simply unwilling to relinquish them. Of course I am here addressing the former, not the latter. 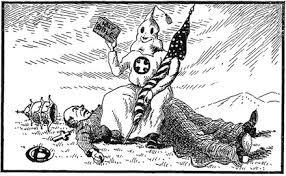 To address the latter, let’s say a KKK member with an anti-Catholic animosity ingrained in his brain, may well result in a waste of one’s time and efforts and run the risk of ending up as a diatribe rather than a civilized “enlightened” dialogue. I have already dealt with the Crusades in general in an article on the subject which appeared recently in Ovi magazine pages (see http://www.ovimagazine.com/art/11607). Allow me to furnish an example of biased and ignorance of the facts parading as free speech. 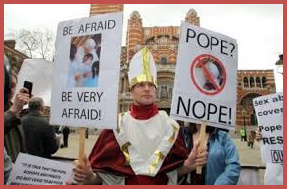 The favored crusade utilized by those who would slander religion and Christianity in particular in the name of “modern secularism vs. medieval theocracy” is the so called “children’s crusade,” which occurred in 1212. This is supposedly a particularly blatant example of a corrupt Church, so vile as to cold-heartedly send children to their demise while the Pope stays comfortably home. But what is the true historical record which utterly debunks this concocted myth? In reality there never was an officially proclaimed “children’s crusade” officially called and proclaimed by the Catholic Church. The historical record is clear and it is this: it was neither a Crusade nor an army of children. Rather, it was a particularly large eruption of popular religious enthusiasm in Germany that led some young people, mostly adolescents, to proclaim themselves Crusaders and begin marching to the sea. Along the way they gathered plenty of popular support and not a few brigands, robbers, and beggars as well. The movement splintered in Italy and finally ended when the Mediterranean sea failed to dry up for them to cross. Pope Innocent III did not call this alleged "Crusade." To the contrary, he repeatedly urged non-combatants to stay at home or return home if they had already begun the journey, helping the war effort through fasting, prayer, and alms. Those are the unvarnished undistorted historical facts which in the vivid imagination of those out to debunk religion and cast aspersion on the Catholic Church assume mythological proportions. Indeed, Christianity is always left burying its head for "the holy wars" known as the Crusades. However in Sir Walter Scott's Crusades and Other Fantasies [Ibn Warraq], it is revealed that Christians were acting defensively to Muslim invasions of Christian lands. Muslims had already conquered 2/3 of Christian lands at the time the first Crusade was launched. It is strange that Christianity, particularly Catholicism, is blamed for many tragedies in history. However, each Catholic pope has made its share of lists of apologies for the religion's shortcomings yet we never see Muslim leaders apologize publicly for the suffering that their religion's fanatics cause. At least the process of Christian religiosity can effectively help those who undergo it realize mistakes were made, admit to them, take responsibility for them, and take necessary steps to correct them.